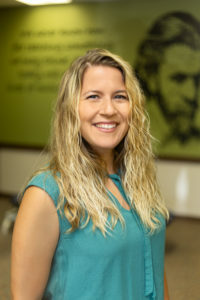 Teri Hasemeyer Porter serves the Functional Chiropractic family as the full-time office manager. 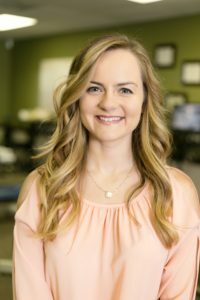 With a passion for patient care through the best in chiropractic, Teri loves being involved with the office. 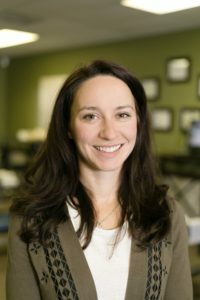 She visited chiropractors throughout her life, but immediately experienced relief from neck pain, as well as increased movement and flexibility in her back after receiving Upper Cervical care. When she is not at the office, Teri studies ballroom dance and reads as much as possible. The Dancer and Doctor enjoy cooking and hanging out with Manchester the Pug and Chewbacca the puppy yorkie poo. 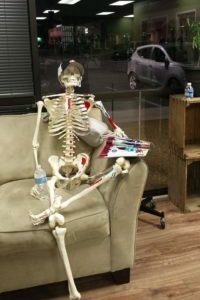 Doug Longbottom is Functional Chiropractic’s model patient with his fantastic posture and active lifestyle. His hobbies – hiking, dancing, and working out – keep Doug busy and social. He enjoys spending time with people, both in the office and out and about. One of his favorite pastimes is dressing up for holidays, spreading cheer for the seasons. Doug is also a silent business partner in the company; he prefers to focus his time on creating a welcoming atmosphere for patients. He has been involved since the inception of Functional Chiropractic, even helping with the original buildout! Doug is also a bit of a local celebrity since he started his blog FunDoug.com, where he writes about his adventures in the community.